Since I’ve started this series, I’ve addressed several of the changes that I made in order to grow my blog since September: commenting, joining blog communities, and making friends on Twitter, for example. However, I haven’t addressed one of the major changes that has to be staring all of you in the face: I worked on my blog design. Last week I kind of touched on why your blog design is important. The design of your blog is the first thing a reader sees. Well, it’s actually much more than that, but the design of your blog can have a lot to do with how long a reader stays on your blog or if they decide to come back. Your blog’s design can convey a lot to a reader. Next time you’re looking around at blogs for the first time, note your first impression, and then think about what gave you that impression. A lot of times it’s design elements within the blog that you might not even be aware of off the top of your head. When I started blogging in 2009 I was totally clueless about blog design. I could certainly identify a good one when I saw one, but I had no idea how to implement a good design on my blog. I was in college so I had limited time and money, and frankly it just wasn’t a priority for me. Maybe there weren’t as many resources out there, but I didn’t discover that there were resources specifically about blogging until the middle of 2011. I did however have access to Photoshop, so once I figured out how to make a blog banner I could at least do that. 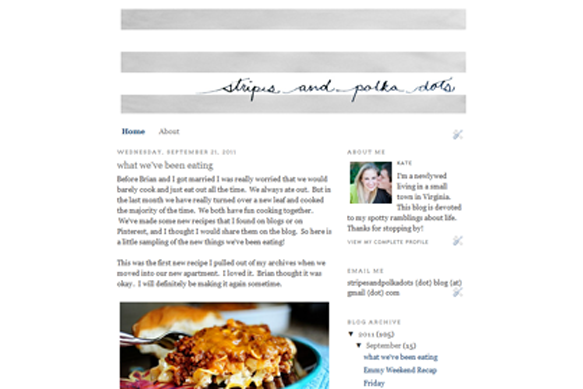 Here is what my blog looked like prior to taking a blog design class. I still don’t think that my blog was hideous back then, but that wasn’t the point. The point was that everyone who landed on my blog could tell that other than choosing my own text colors, the only thing I had done was add a header. And a pretty uncomplicated header at that. Other than that, it was clear that my blog was straight up Minima template. Which unless you’re A Cup of Jo, winds up telling readers that you’re not serious about your blog. 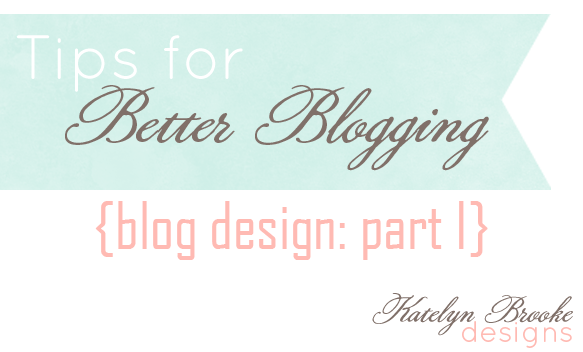 In my experience, my blog didn’t begin to sustain a readership until I had a custom design on my blog. That means that the coding was adjusted, including widths, colors, fonts, etc., to create a look that was specifically tailored to my blog. All of that goes into creating a brand for your blog. If you are using a template for 90% of your blog design, then what you are really representing is Blogger, or whatever other kind of template you’re using*.I truly believe that other that next to content, the design of your blog is most responsible for getting readers to come back to your blog. I hope this post was somewhat interesting and made sense. Since this first part is about why it’s important to have a custom blog design, the second part will be about why it might not be cost effective to do it yourself. Stay tuned for Part II next week! You can see the progression of the design of Stripes and Polka Dots here and here. *Premade templates from blog designers are kind of an exception here. Obviously that’s not a truly custom design, but usually they are customized enough that they are kind of like a middle ground between using a generic template and having a custom blog design, and I think they’re a great option for bloggers looking to take their blogs to the next step who aren’t ready to spend the money on a custom blog design. Katelyn, I’ve just found your blog and I love it! I do have a comment/suggestion though. It’s probably from your server set up, but all of your internal links within your text on EVERY blog post do not work. They go to your IP address, and give a “no permission” error. I thought I would point this out to you so you can correct it. I believe the error has to do with your general settings in Word Press or your web hosting.